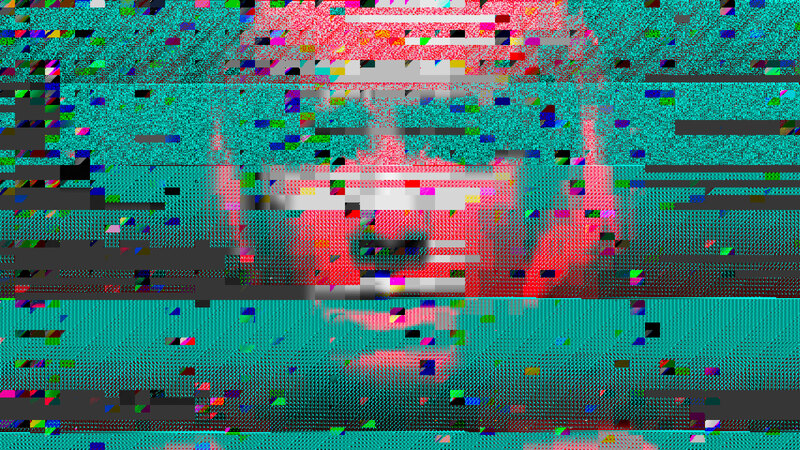 Rosa Menkman, in her inspired treatise on glitch art, The Glitch Moment(um), speaks of the RUPTURE – the departure from conditions of the expected, the normality of the mediated experience – into the BEYOND, where systems fail, aberration prevails, and our preconception of systems and their flow of information is disrupted or even halted. The Ghost in the Machine? A destructive force at work in our digital systems revealed through accidental failures systematic to technology? Or perhaps an intentional act of digital subterfuge: artists searching for new modes of expression through the aesthetic construction of dazzling patterns and the disorientation of pixels. And yet, Menkman’s critique of the exploding genre of glitch art reveals how little we understand of machines and their potential to fail. It is this lack of understanding that sets the stage for our wonderment of the breakdown, our attraction to the noise, our awe of the strange manifestations that the machine exudes when left to its own devices. Ironically, our design of machines is intended to produce concrete results, functional processes, and predictable behavioral patterns. But the machine is an independent entity in so many ways: it will pull itself back from our feeble attempts of control and wander into otherworldly realms of ephemeral, inexplicable renderings, that even we, the so-called masters of the system, could never imagine. THAT, in essence, is the magic. Like John Cage’s use of chance technique to break from habitual models of creation, the glitch manifested work is often a search for the impossible, in which the machine transcends our finite, human capability to shape reality. You might call this “computer-assisted composition,” but it is much more than that. The machine is hardly a slave, it is our guide into the other world, a world only IT is native to, an alien world to us made up of blood and flesh. The machine resides in the fantastic world of the electrical and the mechanical, and yes, it can dream impossibly sublime beauty in which we, the artist, become the model posing for its creation.